Our Goal is strong Corporate Value with sustainable growth. Since its establishment in 1928, Nippon Signal has contributed to the realization of a more comfortable society with advanced technologies for "Safety and Reliability." In order for us to continue to contribute to society, we formulated and are currently implementing "Vision-2020 3E," a long-term management plan to guide us through fiscal 2020, with the goal of helping us transform into a company that generates sustainable growth, while continually adapting to the wide fluctuations in the social environment. We are actively seeking market expansion through the implementation of this long-term plan, including the development and growth of new businesses that apply the technologies of existing businesses, along with overseas expansion focused on the Asia region. 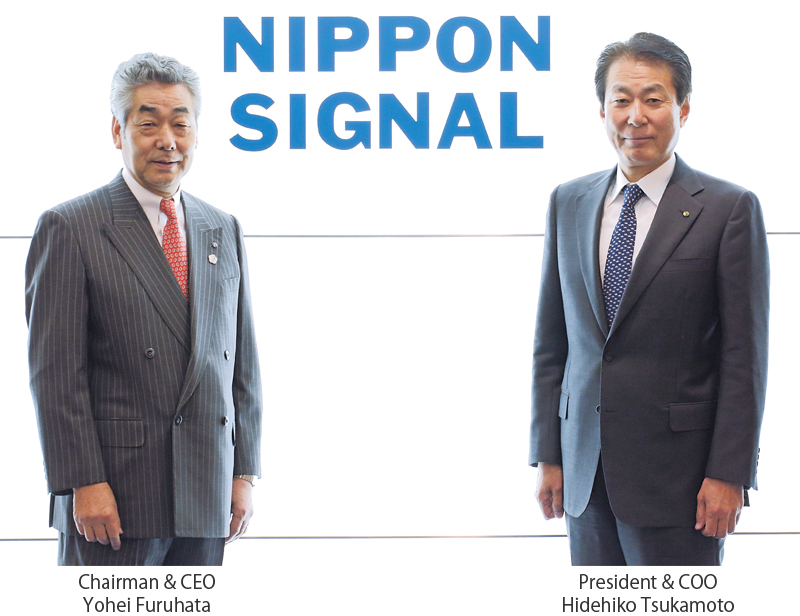 Nippon Signal will continue to follow its group philosophy of "We help realize a more secure and comfortable society through superior technologies that provide safety and reliability." and will pursue the type of advanced manufacturing expected of a company recognized by society. As we move forward, we thank you for your continued support.